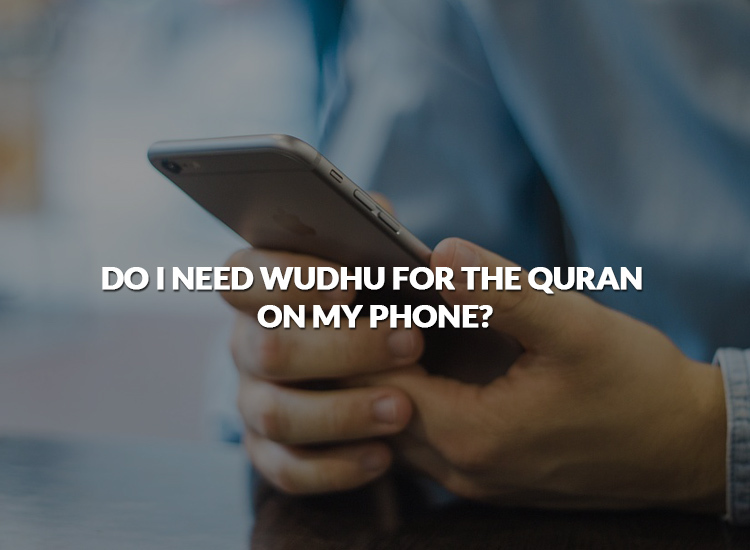 With the advent of smart phones and tablets and the digital Mus-hafs, Muslims have been able to carry their Quran around with them wherever they go! We are able to recite our adhkar, recite portions of the Quran and read translations and explanation (Tafseer) of the Quran on the go! What a blessing from Allah in today’s busy modern lives! It is well known that it is not permissible for a Muslim to touch the Qur’an when he does not have wudhoo, according to the majority of scholars and the four imams (may Allah be pleased with them), the Companions of the Prophet (peace and blessings of Allah be upon him). The Prophet (peace and blessings of Allah be upon him) wrote to the people of Yemen: “No one should touch the Qur’an except one who is taahir (pure).” Even when one is moving the Quran from one place to another, one must pick it up with a wrapper or cloth. A Mushaf may not be taken into the bathroom and must be kept respectfully so that it is not trampled or tossed around. Reading Qur’an on a mobile phone makes it easy for women who are menstruating and one who cannot easily carry a Mushaf with him, or one who is in a place where it is difficult for him to do wudhoo’, because it is not essential for the one who touches it to be in a state of purity. When reciting the Quran, it is permissible to recite it from memory when without wudhoo, or to read if the Qur’an is held by someone else, unless a person is in a state of Junub (or sexual impurity) until he has taken a bath for purification (ghusl). However, purifying oneself before reciting Qur’an, even from memory, is better, because it is the Word of Allah and it is more respectful towards Him to only recite it when in a state of purity.